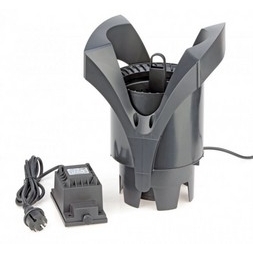 The surface skimmer is an important piece of equipment for any pond. Their purpose is to skim off floating leaves and debris from the ponds surface before it sinks, therefore reducing the amount of sludge build up on your pond floor. They clearly improve and help to maintain good pond water quality.